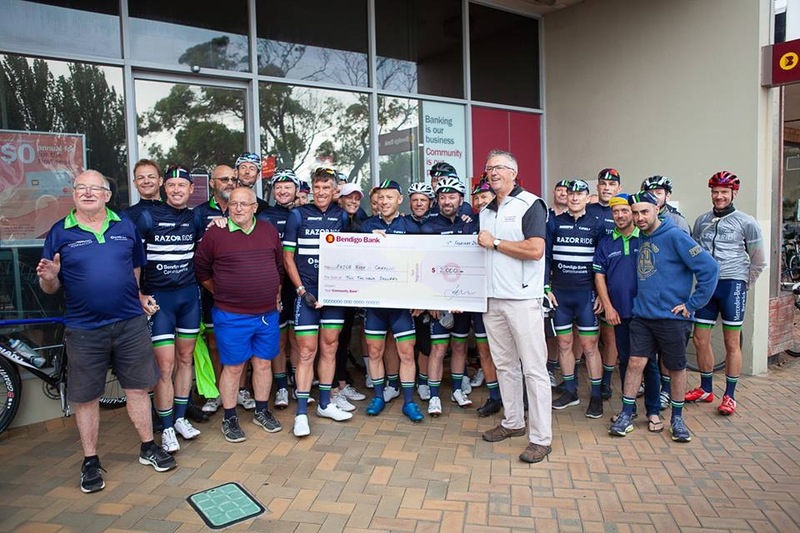 AFL umpire Razor Ray and 35 other cyclists and volunteers rode triumphantly into Melbourne recently after a six-day journey to raise much needed funds and attention for GriefLine. The ‘Razor Ride’, now in its third year, has covered 850 kilometres in its aim to raise $100,000 for mental health awareness. The event is organised by The Chamberlain Foundation. “Three years ago, my brother’s best friend Robbie took his own life and that proved to be the catalyst for us to get off our butts and do something,” Ray said. This year the ride was joined by Australian Cycling great Phil Anderson, and Ray’s brothers Peter and Brian. “We all know somebody who has been touched by the issue so this is a great way to raise the awareness and raise some funds,” Phil Anderson said. The group rode through Halls Gap, Port Fairy, Port Campbell, Wye River and Rye before arriving back in Melbourne on Saturday 9 February.